Breaking news: According to Minneapolis-St. Paul Star-Tribune writer Jeremy Herb in a story just posted to the newspaper’s staff blog: “The International Criminal Tribunal for Rwanda (ICTR), the United Nations court that has tried Rwanda’s genocide crimes — and where St. Paul attorney Peter Erlinder is head of the defense attorney association — has called for Erlinder’s immediate release. “The tribunal, in a two-page letter to Erlinder’s Rwandan prosecutor and the Rwandan minister of foreign affairs, wrote that Erlinder should not be prosecuted because the case against the William Mitchell College of Law professor involves his work as a defense attorney in the tribunal, where his clients were Rwandans accused of genocide. Saint Paul, Minnesota – Masako Usui, the wife of the U.S. professor and attorney Peter Erlinder, is traveling to New York City this week on a mission to visit United Nations Security Council members. Her husband, Peter Erlinder, was arrested by Rwanda police in Kigali on May 28. She plans to ask for their assistance in urging Rwanda to free Professor Erlinder and drop all charges. Professor Erlinder is a law professor at William Mitchell College of Law, lead defense attorney for the United Nations International Criminal Tribunal for Rwanda (ICTR), and president of the ICTR defense lawyers association. The ICTR was set up by the United Nations Security Council in 1994 to prosecute war criminals for events that happened in 1994. •	Successfully proved to the ICTR that the genocide had not been planned or executed by the person he represented, Aloys Ntabakuze. 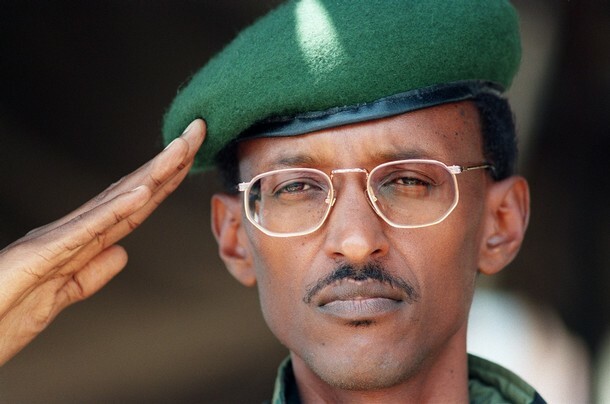 •	Publicly wrote, outside of Rwanda, in defense of his clients through articles, press releases and open letters to public officials calling for a deeper examination of the events that happened in 1994 and suggested that there could be a different narrative based on factual evidence. •	Filed a wrongful death lawsuit against Paul Kagame in the Oklahoma federal court under the Alien Tort Claims Act on behalf of his client, Agathe Habyarimana, the widow of the former Rwandan president. Erlinder continues to be held, now in Kigali Central Prison, after he received a judgment on Monday, June 7, 2010, denying him bail or any type of release. The spokesman for the “United Nations-backed tribunal for Rwanda,” Roland Amoussouga, stated, “ICTR will not allow anyone to be prosecuted for the work that it has done for it,” according to a June 13 New York Times story, “American Lawyer Denied Bail in Rwanda” by Josh Kron. The International Criminal Defense Attorneys Association (ICDAA) denounced and condemned Peter Erlinder’s continued detention in the strongest possible terms and urged all concerned to demand his immediate release. In a joint statement to the court and the U.N. Security Council, many defense lawyers have demanded Erlinder’s immediate release: “We hereby resolve to postpone all activities, other than those which strictly conserve the interests of our mandates, until such time as the minimum conditions of the normal exercise of our missions have been restored by the removal of threats,” the statement says. This continued detention has prompted other defense lawyers at the ICTR to refuse to participate in proceedings. 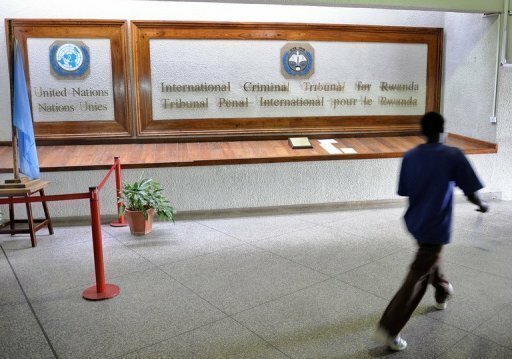 Five defense teams before the ICTR have filed motions saying it was too dangerous to represent an accused. ICTR responded by launching contempt proceedings against another American defense lawyer, Peter Robinson, when Robinson stated his intention to withdraw from the case due to Erlinder’s detention. QUESTION: Thank you, Secretary Clinton, for being here today. My name is Beth Tuckey. I’m with Africa Action. And you mentioned in your presentation that you would speak out on behalf of democratic governance in Africa, and I know that the U.S. has been a strong supporter of Rwanda for many, many years. And I’m just wondering what you’re doing to address the recent oppression of political candidates in Rwanda and if you’re doing anything to address attorney Peter Erlinder, who is currently under arrest in Rwanda. SECRETARY CLINTON: I know that we have addressed those concerns. We’ve made them known to the Rwandan government. We really don’t want to see Rwanda undermine its own remarkable progress by beginning to move away from a lot of the very positive actions that undergirded its development so effectively. We still are very, very supportive of Rwanda. The kind of development that has taken place in Rwanda is really a model in many respects for the rest of the continent. But we are concerned by some of the recent actions and we would like to see steps taken to reverse those actions. On the one hand, I understand the anxiety of the Rwandan leadership over what they view as genocide denial or genocide rejectionism. There are many countries that have been in a similar historic position, so I do understand that and I know that they are hypersensitive to that, but – because, obviously, they don’t want to see anything ignite any kind of ethnic conflict again. So I’m very sympathetic to that. But I think that there are ways of dealing with that legitimate concern other than politically acting against opposition figures or lawyers and others. So on the one hand, I understand the motivation and the concern. On the other hand, I want to see different actions taken so that we don’t see a collision between what has been a remarkably successful period of growth and reconciliation and healing with the imperatives of continuing to build strong democratic institutions. For more information, contact Jacques Bahati, who provided this press release and link to Clinton’s briefing to the Bay View, at bahati@afjn.org. As a diplomat, Ms. Clinton understands the anxiety of the rwandan regime, it's motivation and concern. Which in english means, as someone mentioned it, she does not care about the serious precedent created by this regime with regard to international laws and the need for justice in a country supposed to heal its wounds. The non-otherwise specified "positive actions" by Rwanda are her only concerns. We can only ask ourselves whether Ms. Clinton takes into account the ten million toll in the Great Lakes region of Africa as "positive actions" her husband helped to create; whether the arrest of lawyers for the exercise of their duties and the subsequent denial of due process is one of those "positive actions" designed to bring reconciliation and avoid another tragedy. Ms. Clinton must understand that if her husband escaped the ICT by imposing its competence for matters after 2003, she will not be able to escape a trial should another tragedy occur in that region because of the continued US support for this brutal regime. please watch Brutal Badge on youtube(a solution to stop torture&murder by law enforcement), in 6 parts, especially part 5…And recommend it to your friends…. Thank you kindly! I was not allowed to publish this letter which even had a response from Pm. Gordon Brown and other world leders, in any newspaper, or any other type of media, in so called democratic Sweden!!!! I've seen this before but it's always a great reminder of the diversity of the world and how fortunate some of us are to be born where we were.